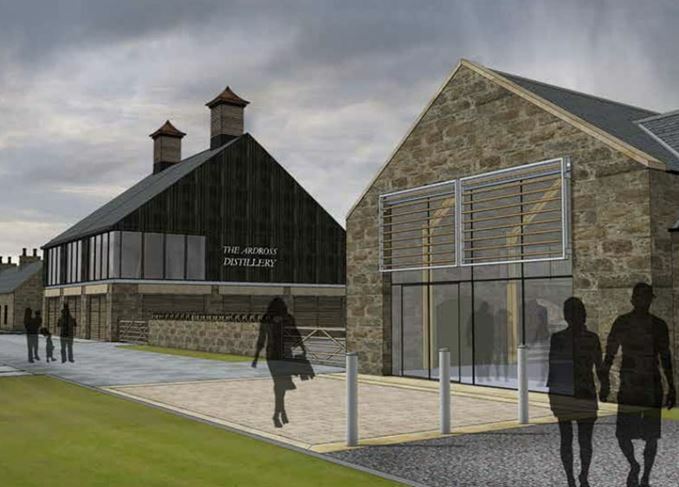 Proposed Highland distillery Ardross is one step closer to fruition after securing planning approval from Highland Council last week. The North Planning Committee approved the application from Ardross Investment Ltd to restore, convert and extend a group of 19th-century buildings, farm house and cottages in Ardross, located approximately 30 miles north of Inverness. The main building will be converted into the primary part of the distillery, including a still house, tun room, mash room, an area for milling, filling and blending. The existing ‘old dairy’ building will be converted into the dunnage and boiler house, located towards the back of the distillery building. Two existing semi-detached 1.5-storey stone cottages will be transformed into staff cottages, offices and a blending lab. In addition, a tasting lodge will be built to the north of the distillery, next to Loch Dubh. Ardross Investment anticipates the distillery will be operational by Summer 2018, with capacity to produce up to a million litres of spirit per year. Ardross is the latest in a string of new Scotch whisky distilleries currently under construction, such as Arran, which began building its second distillery on the island at Lagg earlier this month. At least seven new Scotch whisky distilleries are due to open in 2017 alone, while an old favourite is also scheduled to return.